When you have a unique home, you take pride in continuing to set it apart from the rest. 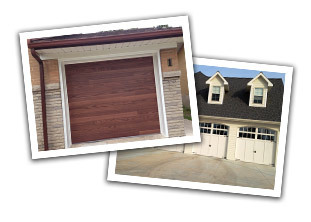 In these situations, designing your own garage door with the accents you truly desire can be important. 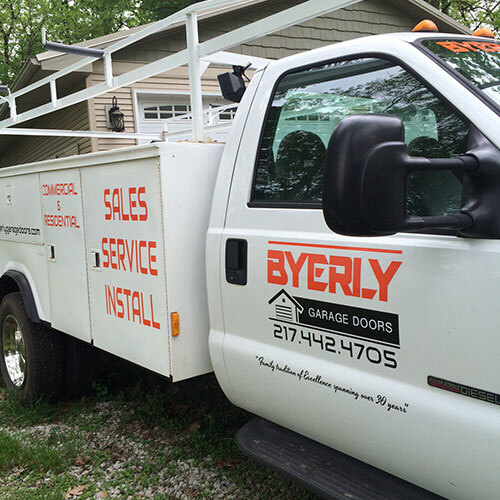 At Byerly Garage Doors, we take the ideas of homeowners in several artful directions. 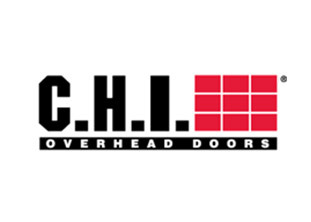 This means that you will have a home that has curb appeal, and CHI Overhead Doors is one of the many brands we support that helps create these solutions. 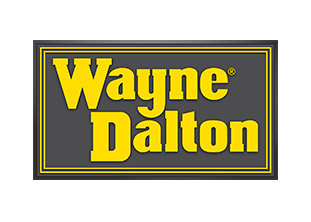 To learn more about building your own garage door with customized features, we have outlined the types of options available. 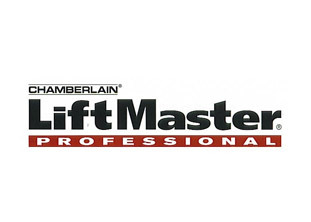 If you want to explore garage door options to see a few variations that would work on your home before you make your purchase, then the online designer is perfect for you. 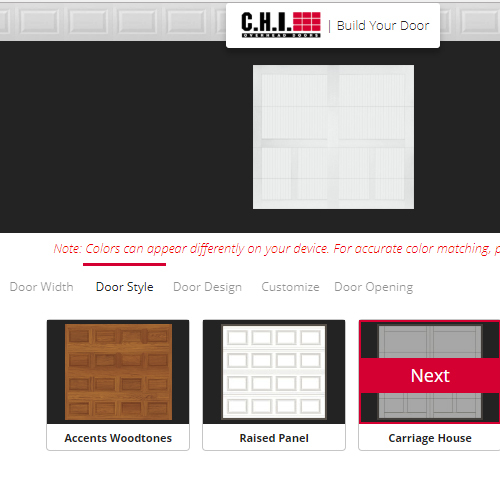 CHI has made it easy for you to build your own garage door and request a quote from Byerly Garage Doors. Most garage doors are generic, but if your neighborhood is not the right type for extreme looks, a recessed panel, Shaker or raised panel garage door could be a versatile solution. Available in short or long panels, these three door styles are available in a range of wood tones and colors. The detailed paneling can bring a point of interest to a home with very little outside appeal. 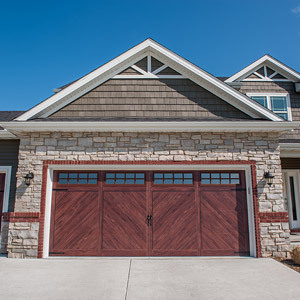 These types of craftsmen-style garage doors can also significantly add to the value of your home if you are considering placing it on the real estate market. If you have a unique home type such as stucco or vinyl paneling, it can be difficult to pinpoint which type of garage door could work from an exterior design perspective without overpowering a home. Thankfully, this garage door style draws the eye easily with carriage door hinge and handle hardware, small windows framing the top of the doors, as well as a soft checkerboard pattern that breaks up the monotony of otherwise stripey wainscoting. This timeless look is available in long or short panels with 7 colors and two wood tones. For homeowners that want a modern look that fits contemporary homes, the clean lines and minimalism of the full-view aluminum garage doors are the right choice. 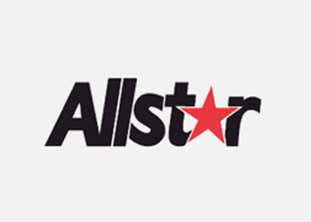 They are also the best decision for any homeowner that wants a specific color for the door. Made of aluminum and glass, this industrial and ultra modern architectural look also functions well for open-air restaurants and small businesses. 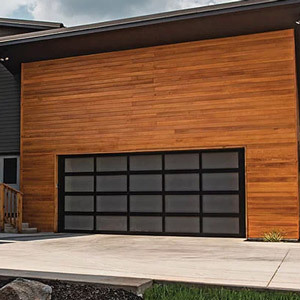 When you have multiple features that you already want to be the focal point of your home’s exterior, the flush garage door style is the right decision. Instead of being another point of interest, these doors are designed to provide minimal visual distraction with few notable features. 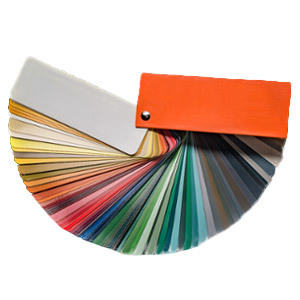 The look comes in 9 colors that add elegance to your home. If your objective with garage doors is strength and security, you do not have to sacrifice style to meet these expectations. Instead, our wood tones garage doors have a curbside appearance of being made from timber, but are instead crafted from durable steel. 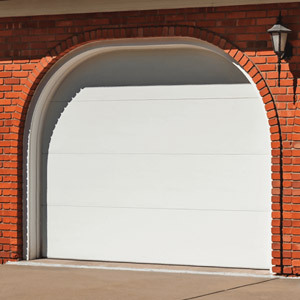 Fiberglass garage doors are popular throughout America, and they are also well-known for preventing theft as well as lowering utility bills. Our wood tones doors have seven style options and six wood tones to choose from. 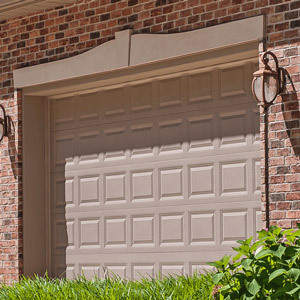 Also versatile, our fiberglass garage doors have five style options in 8 colors and three wood tones. If your objective with garage doors is strength and security, you do not have to sacrifice style to meet these expectations. Instead, our wood tones garage doors have a curbside appearance of being made from timber, but are instead crafted from durable steel. These wood tones doors have seven style options and six wood tones to choose from. 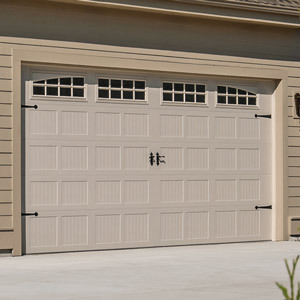 Also versatile, our fiberglass garage doors have five style options in 8 colors and three wood tones.